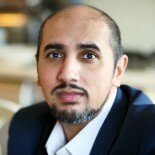 Theologian, public speaker and visiting lecturer on Islam in contemporary Britain, Theology and Islamophobia; Mohammed is a civil rights activist and legal advocate who has worked with organisations in the fields of politics, diversity and education. A wealth of experience on countering extremism and radicalisation, Mohammed has lead and delivered cutting-edge local and national initiatives and provides commentary and analysis on television and radio. Mohammed has appeared as a guest on a variety of television programs including: BBC’s The One Show, Newsnight, ITV Daybreak, Daily Politics, The Big Questions, Sunday Morning Live and Sunday Politics. He has been a contributor on Sky News, BBC News, Channel 4 News, Channel 5 News, BBC World News, The Islam Channel and a wide variety of international outlets including CNN, ITN, Reuters, Al Jazeera, RTL, France 24, Australia’s TEN News and he is a regular commentator for RT. Mohammed’s radio credits include BBC Radio 4 Any Questions, Claire Balding Sunday Show, the World At One, PM, The Sunday Programme, Beyond Belief, Daily Thoughts, Faith Dialogues, The Asian Network and extensive local/regional programming and on LBC radio discussing current affairs, popular culture, politics and religion. A leading public advocate against extremism, Mohammed has tackled both international terror threats and domestic far right radicalisation. Mohammed is well known for his advocacy for Muslim civil rights and is outspoken against Islamophobia. After spending 18 months with Mohammed on a journey of discovery for the BBC1 film ‘When Tommy Met Mo’, the leader of the far right organisation the English Defence League, dramatically resigned his position. Mohammed became the focus of international attention when he was named at the top of terrorist organisation Al Shabab’s most-wanted list. In spite of this, Mohammed has continued to speak out publicly against the rise of terror and extremism, and to promote peace and tolerance amongst communities. Mohammed advocates a return to an authentic Islamic enlightenment as part of the Muslim revivalist and spiritual reformational movement. Mohammed is no stranger to public debate. He has appeared at the Cambridge Science Festival with comedian Robin Ince, political activist Dr Evan Harris and Rev Richard Coles discussing “Religion versus Science”; opposite leading atheists Prof Peter Atkins and Andrew Copson on whether “Religion Does More Harm Than Good” at University College, London; Col Bob Stewart MP over British troops in Mali; Philip Hollobone MP over his Private Members Bill to ban the burka; the President of the British Veterinary Association on halal and kosher slaughter; against neo-conservative commentator Douglas Murray on Islamophobia; radical preacher Anjem Choudary; UKIP founder Gerard Batten and opposite Sun columnist and The Apprentice candidate, Katie Hopkins on the Channel 5 Immigration Debate; with Mehdi Hasan to debate Maajid Nawaz on Newsnight. For obvious reasons, Mo and Katie’s infamous ‘re-match’ on immigration for RT went viral. Known as a left of centre liberal, Mohammed engages with politicians, organisations and public figures on a range of issues. He offers a balanced approach when discussing the most controversial and contemporary social issues on politics and faith. Outspoken in the US and UK about the political situation in the Middle East and has been interviewed extensively by leading Muslim thinker and scholar Tariq Ramadan for his television show ‘Islam and Life’. Mohammed’s interfaith work has seen him join American Christian leader Brian McLaren on his speaking tour discussing the intellectual settlement between the great faiths of Islam and Christianity, the concept of ‘the other’ and shared hopes for a future of tolerance and co-existence. Mohammed’s lecture series at the Greenbelt 40th anniversary festival was their most downloaded speech of the year. He was the first Muslim to give the Lovell Lecture at Winchester Cathedral. Mohammed met Russell Brand where they spent the day at the East London Mosque, discussing the need for a spiritual revolution and the politics of prejudice, for Russell’s YouTube series, The Trews. Mohammed’s popular blog ‘Ansar’s on a Postcard’ is now found on this website and he has written for a variety of online and print publications including the Guardian and Huffington Post, and he is an avid Tweeter. You can get in touch with Mohammed via Twitter, Facebook or his contact page here.